Epidemiological data indicate that risk behaviors are among the leading causes of adolescent morbidity and mortality worldwide. Consistent with this, laboratory-based studies of age differences in risk behavior allude to a peak in adolescence, suggesting that adolescents demonstrate a heightened propensity, or inherent inclination, to take risks. 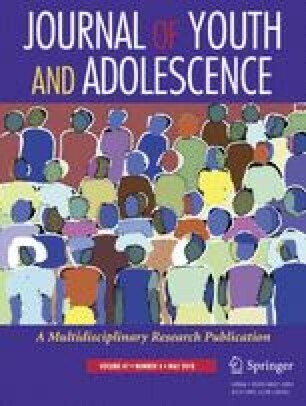 Unlike epidemiological reports, studies of risk taking propensity have been limited to Western samples, leaving questions about the extent to which heightened risk taking propensity is an inherent or culturally constructed aspect of adolescence. In the present study, age patterns in risk-taking propensity (using two laboratory tasks: the Stoplight and the BART) and real-world risk taking (using self-reports of health and antisocial risk taking) were examined in a sample of 5227 individuals (50.7% female) ages 10–30 (M = 17.05 years, SD = 5.91) from 11 Western and non-Western countries (China, Colombia, Cyprus, India, Italy, Jordan, Kenya, the Philippines, Sweden, Thailand, and the US). Two hypotheses were tested: (1) risk taking follows an inverted-U pattern across age groups, peaking earlier on measures of risk taking propensity than on measures of real-world risk taking, and (2) age patterns in risk taking propensity are more consistent across countries than age patterns in real-world risk taking. Overall, risk taking followed the hypothesized inverted-U pattern across age groups, with health risk taking evincing the latest peak. Age patterns in risk taking propensity were more consistent across countries than age patterns in real-world risk taking. Results suggest that although the association between age and risk taking is sensitive to measurement and culture, around the world, risk taking is generally highest among late adolescents. A correction to this article is available online at https://doi.org/10.1007/s10964-019-00999-z. This research was supported by an award to Laurence Steinberg from the Klaus J. Jacobs Foundation and the Eunice Kennedy Shriver National Institute of Child Health and Human Development grant RO1-HD054805. ND conceived of the study, participated in its design, performed the statistical analyses, participated in interpretation of the data, and drafted the manuscript; LS conceived of the study, participated in its design and coordination, participated in interpretation of the data, and helped to draft the manuscript; GI participated in the study design and in interpretation of the data; JC gave final approval of the manuscript; NC was involved in the acquisition of the data and gave final approval of the manuscript; LD was involved in the acquisition of the data and gave final approval of the manuscript; KAD was involved in the acquisition of the data and gave final approval of the manuscript; KAF was involved in the acquisition of the data and gave final approval of the manuscript; JEL was involved in the acquisition of the data and gave final approval of the manuscript; PO was involved in the acquisition of the data and gave final approval of the manuscript; CP was involved in the acquisition of the data and gave final approval of the manuscript; ATS was involved in the acquisition of the data and gave final approval of the manuscript; ES was involved in the acquisition of the data and gave final approval of the manuscript; ST was involved in the acquisition of the data and gave final approval of the manuscript; LUT was involved in the acquisition of the data and gave final approval of the manuscript; LPA was involved in the acquisition of the data and gave final approval of the manuscript; SMA was involved in the acquisition of the data and gave final approval of the manuscript; HMST was involved in the acquisition of the data and gave final approval of the manuscript; LC was involved in the acquisition of the data and gave final approval of the manuscript; and DB was involved in the acquisition of the data and gave final approval of the manuscript. All authors read and approved the final manuscript. Fuller, E., Clifton, S., Field, N., Mercer. C. H., Prah, P., Macdowall, W., Mitchell, K., Sonnenberg, P., Johnson, A. M., & Wellings, K. (2015). Natsal-3: Key findings from Scotland. http://natcen.ac.uk/media/997277/NatSal-Scotland.pdf. Hofstede, G. (2011). Dimensionalizing cultures: The Hofstede model in context. Online Readings in Psychology & Culture, 2, 1–26. https://doi.org/10.9707/2307-0919.1014. United Nations Development Programme. (2014). Human development report. http://hdr.undp.org/en/data. World Health Organization. (2014). Adolescents’ health-related behaviors. http://apps.who.int/adolescent/second-decade/section4. Accessed 1 October 2016.